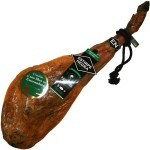 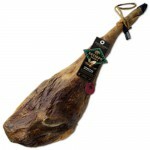 The Cereal-Fed Iberian Ham (Salamanca - Spain) is produced according to the traditional temperance w.. 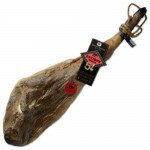 The ‘Acorn-Fed’ Iberian Ham from Guijuelo (Salamanca - Spain) is produced according to t.. 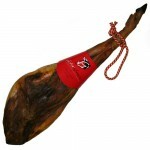 The Pure ‘Acorn-Fed’ Iberian Ham (Salamanca - Spain) is produced according to the tradit..
Acorn-Fed Pure Iberian Ham by Cinco Jotas Undoubtedly, one of the best hams in the world! 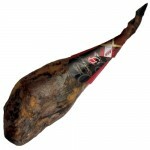 This..
Acorn-Fed Pure Iberian Ham by Sanchez Romero Carvajal Acorn-Fed Pure Iberian Ham by Sanchez Romer..
Cereal-Fed Iberian Ham by Estirpe Negra Exceptional artisanal ham, made from prime Iberian pigs s..
El Mixed-Fed Ibérica Hams '5B' por Estirpe Negra se hacen con cerdos ibéricos .. 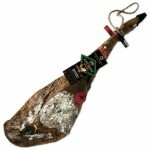 The Acorn-Fed Iberian Hams ‘Reserva Montanera’ by Estirpe Negra are skilfully hand-craft.. 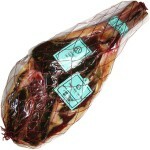 The Acorn-Fed Iberian Hams ‘Reserva Montanera’ DO Extremadura by Estirpe Negra are skilf..
Acorn-Fed Pure Iberian Ham (Boned) by Cinco Jotas Undoubtedly, one of the best hams in the world!.. 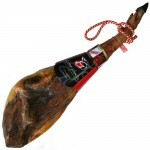 Boned Acorn-Fed Pure Iberian Ham by Sanchez Romero Carvajal Acorn-Fed Pure Iberian Ham by ‘..
Cereal-Fed Iberian Ham (Boned) by Estirpe Negra. 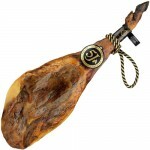 Hand-crafted ham, following age-old traditions, .. 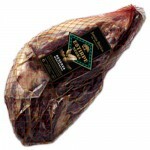 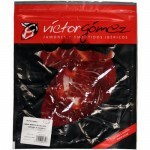 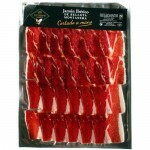 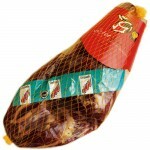 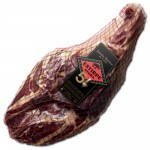 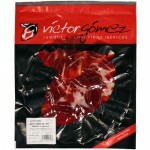 The Mixed-Fed Iberian Hams ‘5B’ (Boned) by Estirpe Negra are made with the hind leg of p.. 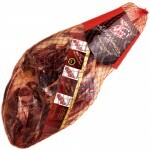 The Acorn-Fed Iberian Hams ‘Reserva Montanera’ (Boned) by Estirpe Negra are skilfully ha.. 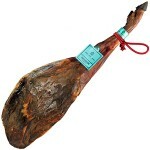 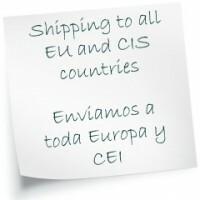 The Cereal-Fed Iberian Ham (Salamanca) is produced according to the traditional temperance which its.. 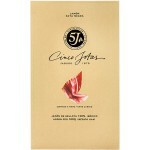 The ‘Acorn-Fed’ Iberian Ham from Guijuelo (Salamanca) is produced according to the tradi..
Hand-Sliced Acorn-Fed Pure Iberian Ham by Cinco Jotas Original 'Cinco Jotas' Hand-Sliced ..